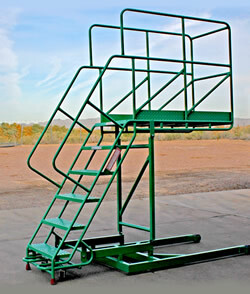 What separates the Pivoting Rolastair™ from other rolling ladders in its class is the unique ability to maneuver through low clearance doorways and paths. 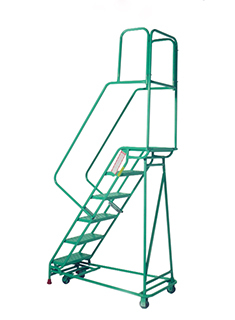 When headroom becomes an issue, the Pivoting Rolastair™ is able to accommodate by switching into a horizontal position—significantly decreasing its top height. 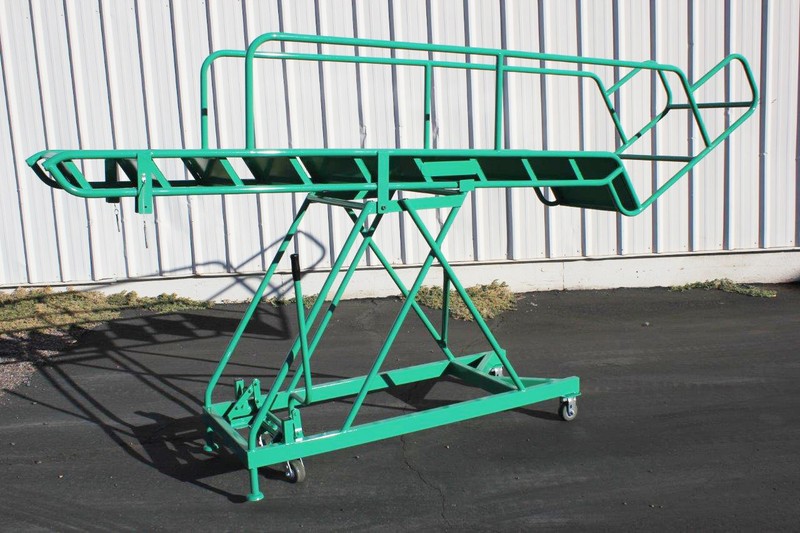 This mobility allows for quick transport in and out of operational facilities, so that the Rolastair™ stays out of pedestrian traffic. 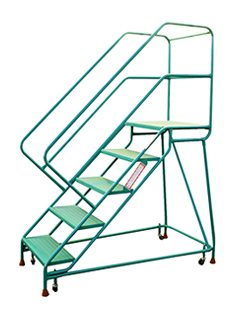 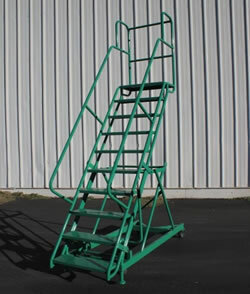 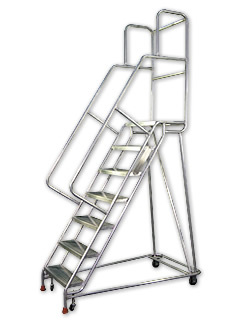 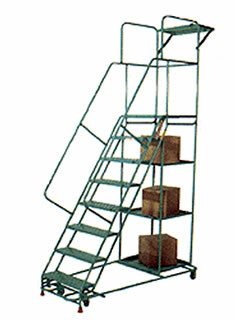 Rolastair™ rolling ladders provide users with safe, efficient access to a variety of workplace applications. 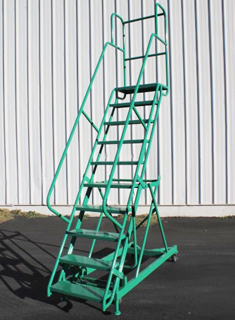 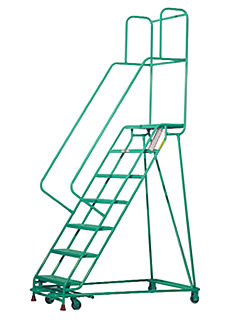 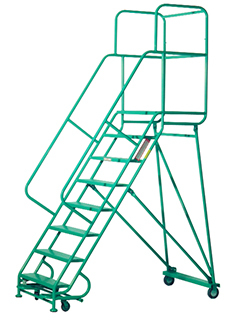 With an assortment of construction options and heights available, Ladder Industries mobile access equipment can meet virtually any customer need.